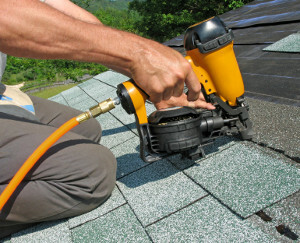 Oakwood Exteriors is the Marshfield roofing & exterior professional you need to call. We offer premium roofing, siding, & window replacements utilizing the highest quality products and most efficient techniques in the industry. With thousands of satisfied customers across central Wisconsin you can be confident that Oakwood Exteriors is the right company to work on your home. GAF Timberline HD asphalt shingles are North Americas #1 selling shingle backed by the best warranty in the roofing industry. Couple that with Oakwood Exteriors certified installers and you will have the peace of mind that your Marshfield home is protected for years to come. Most roof replacements in Marshfield are completed in just one day! Decra stone coated steel shingles will completely change the way you think about metal roofing for your home in Marshfield. Oakwood Exteriors can help you choose the best siding materials and colors for your Marshfield home using our 3D home visualizer! When it comes to replacement windows there are a couple methods to choose from. Those methods are either a “pocket insert” or “full frame” replacement. Oakwood Exteriors recommends a “full frame” replacement window which includes new flashing, insulation, and interior trim. This method of replacement windows offers many advantages for your Marshfield home. Most full frame replacement window projects in Marshfield are completed just one day! Oakwood Exteriors installs spray foam insulation to improve the comfort and energy efficiency of your home in Marshfield. Spray foam insulation has the highest R-value compared to other insulation materials. Spray foam insulation properly insulates tight spaces where other insulation materials simply won’t fit. Spray foam also provides the tightest air seal keeping moisture, mold, pollutants, and allergens out. Excellent. Not much coopoeration with the weather, but they persevered and completed the project in 2 weeks. Great job by the crew. Highly recommend! Fulfilled all expectations and did extra, unexpected touches of moving patio furniture and garden planter back in place after. Strong product knowledge, very courteous, arrived early, got right to work and stayed late as needed. I was there to greet the group & then left for work. Several neighbors were incredibly impressed by their speed, professionalism & clean up after the roof was installed. The roof looks great! I have asked the company to come back & do other work for me. They are so good. I didn't even bother getting estimates from other companies for my new gutters & soon to be new doors! I am writing to thank you for a job well done in the removal and replacement of the faulty and worn asphalt shingles on my residence. From the initial contact, bid preparation, pricing, installation and clean-up your crew were efficient and professional. The project was completed in less time than quoted and under less than ideal climate conditions. We felt confident that the product installed will perform as described and you will back this up as well as the workmanship performed as assured by Oakwood Exteriors LLC twenty (20) year workmanship warranty. This added benefit exceeded any offered by other competitive bidders. Also, your knowledge of and assistance with the class-action lawsuit involving the CertainTeed shingles replaced because of failure at 15 years is greatly appreciated. Other bidders were either unaware of the class-action, unsure of the brand of existing shingles or could not be bothered. Again, thank you for your service and we would be pleased to provide a reference/recommendation from the Marshfield area.